I love good design, but I'm awful at designing. Thankfully, my shortcoming creates an excellent opportunity for collaboration. Check out what we've done so far with the links below! Are you a designer with an idea for a collaboration? Shoot me an email and lets make it happen! 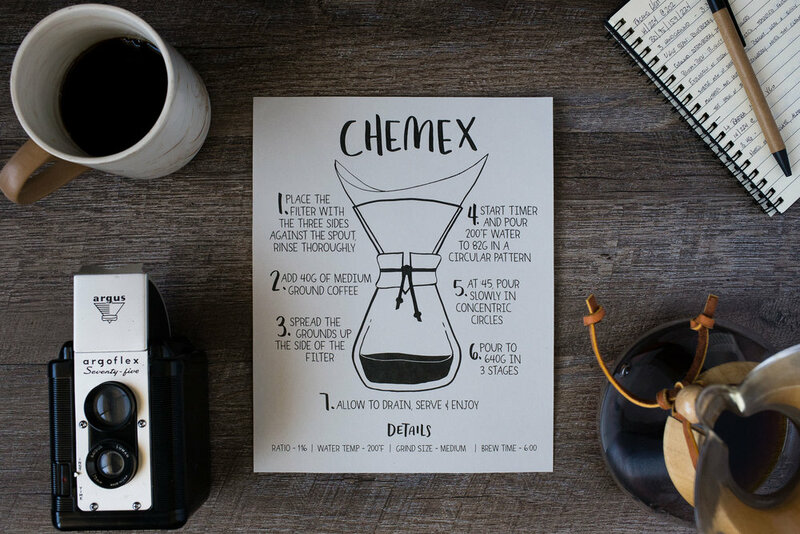 Tyler and Charis of Rountree Design Co. took a couple of my brew methods and turned them into beautifully designed quick reference posters. The links below include most of current favorite coffee products available on Amazon. Purchasing them through these links won't cost you anything extra, I just get a little commission out of the deal!